SIGN UP at janice@wildsouth.org or 256-974-6166. Advance sign-up is required to keep group sizes limited. Specify which hike you would like and how many are coming with you. There is lots to see and learn on this hike, which will take place in the northeastern section of the Bankhead National Forest. Wiggins Hollow was the land of hike leader Robert Howell’s family so Robert is knowledgeable of the history of the area. Robert is a volunteer hike leader, Helping Hands volunteer and volunteer wilderness ranger for Wild South. Hikers will see springs, fall wildflowers and two waterfalls (if we get rain) and the fall foliage is usually spectacular in this area. It is a fairly easy hike with several stream crossings and a short uphill walk to the waterfalls. There are no trails on this hike. Be prepared for walking through forest undergrowth and crossing narrow, shallow streams. Located on the western side of the Sipsey Wilderness, the Thompson Creek Trail (#206) offers stunning wilderness scenery, fall foliage and wildflowers, and the destination of Ship Rock and Eye of the Needle. The Eye of the Needle is an opening that was created in the rock formation during an earthquake in the 1920’s. Scott Michael is a Wild South Helping Hands volunteer, volunteer wilderness ranger and volunteer hike leader. Be prepared to hike for 5 miles on varied terrain with minor stream crossings, some elevation change, rough, rocky trail that will be wet and muddy if it rains. Dogs on Wild South hikes: Only dogs that are well-behaved, peaceable, that get along well with other dogs and humans are welcome on Wild South hikes. Dogs must remain leashed and under owner’s control at all times and not be allowed to mooch food from other hikers at lunch time. If dog poops on trail, poop must be picked up and discarded away from trail and any stream or packed out. There is a danger in Bankhead of dogs contracting Pseudorabies from feral hogs. Ticks: The most effective protection against tick-borne diseases is the type of permethrin product that is sprayed on clothing. Permanone (by Repel) and Sawyers are a couple of brands. Spray on clothing (not skin) at least 4 hours before wearing (that) clothing. It has no scent whatsoever. 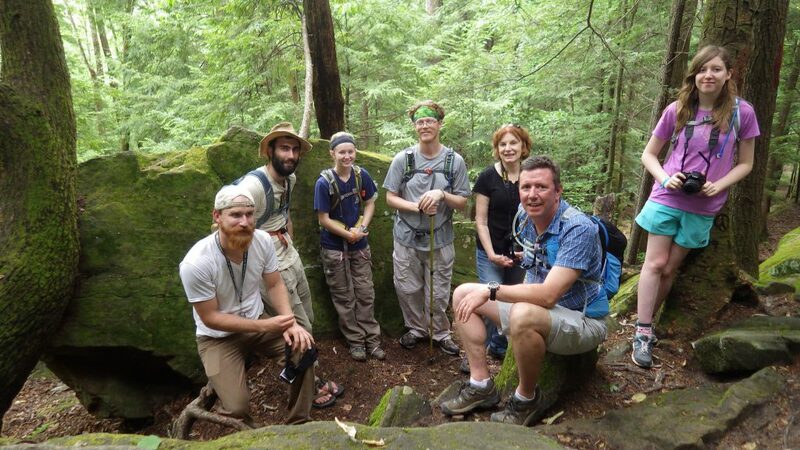 Wild South hikes are smoke free, and we don’t just mean forest fires. Thank you for not smoking. Meet up: After signing up, meet at the Warrior Mountains Trading Company at 11312 AL Hwy. 33, Moulton (map link above) at 9:00 a.m.. Park on the south end of the building and come into the store. You will meet your group at the tables toward the back of the store. On a table you will find sign-in sheets and a donation bucket. If it makes sense for you to meet us at the trailhead instead, please indicate that upon sign up. 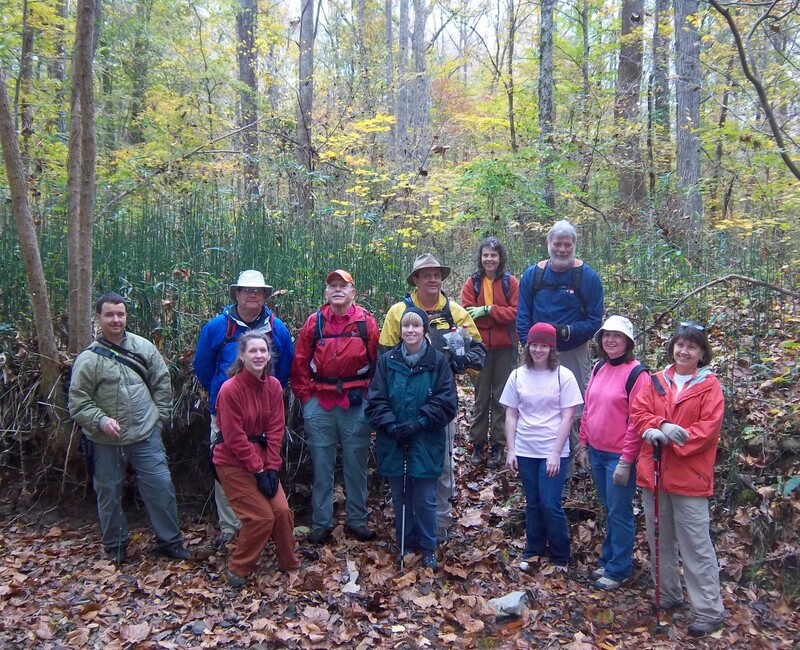 Wild South hikes are part of our Outreach and Education Program and are free of charge. However, donations to our Outreach and Education Program are gratefully accepted and keep the program going. Thank you.